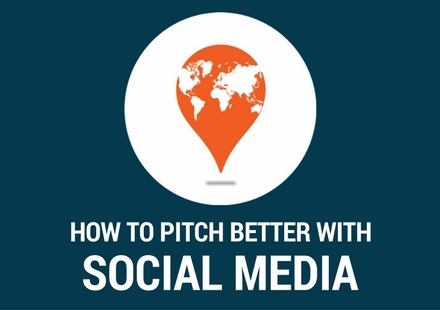 Connecting with journalists via social media should be a no-brainer for any PR pro. A few years ago you probably could have gotten away with not using social media to listen to and interact with journalists and influencers; however, because it’s now so embedded in the news media’s everyday life, you risk missing out on coverage opportunities. 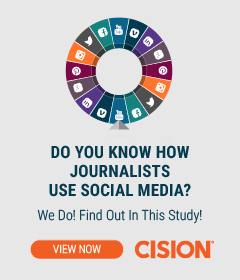 According to Cision’s 2016 Global Social Journalism Study published this week, nearly half (48 percent) of U.S. journalists say they would be unable to carry out their work without social media. That’s an increase from 2013 when 41 percent of respondents felt this way. And the increases aren’t just in how many journalists are using social, but also how many different types of social media they’re using. The fifth annual Global Social Journalism Study, conducted in partnership with Canterbury Christ Church University, explores how social media affects journalists across seven countries in both their work and their communication with PR professionals. We’ve found that in the U.S., the majority (68 percent) of respondents report using at least three types of social media for publishing and promoting, and nearly half (47 percent) say they use four or more. In addition, 51 percent say they use three or more different types of social media for sourcing. The same can be said for many of the journalists surveyed in other countries. With the exception of France and Finland, the majority of international survey respondents use at least three social media platforms for publishing and promoting their content. You must look beyond Twitter and Facebook with your PR strategy. While social networks and microblogs still rank highest for the types of social platforms being used, your approach to interacting with journalists must now encompass audio-visual publishing platforms, content communities, professional networks and much more. Just take a look at the following snapshot from the Global Social Journalism Study. 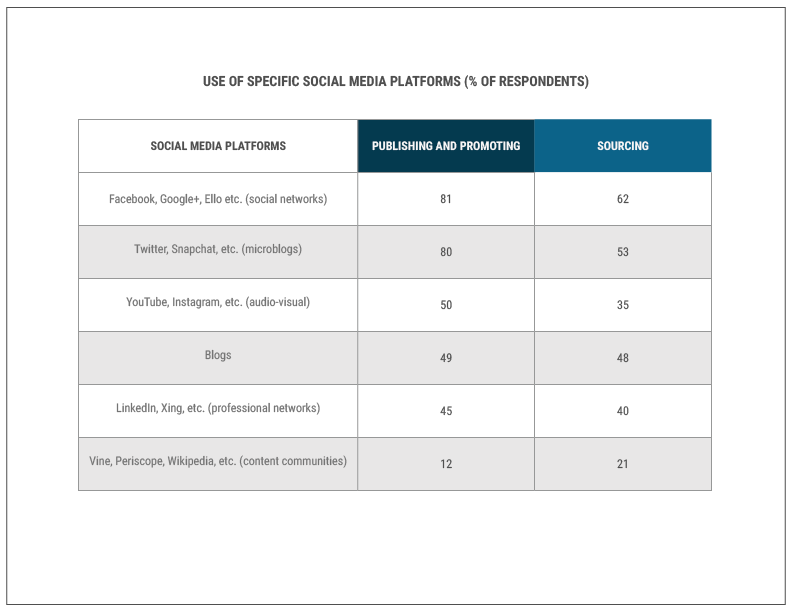 Here’s a breakdown of the social media platforms journalists use for publishing, promoting and sourcing stories as well as the categories they fit into. Although the popularity of social networks and microblogs is a common theme for all journalists, there are differences depending on journalists’ professional and demographic characteristics. 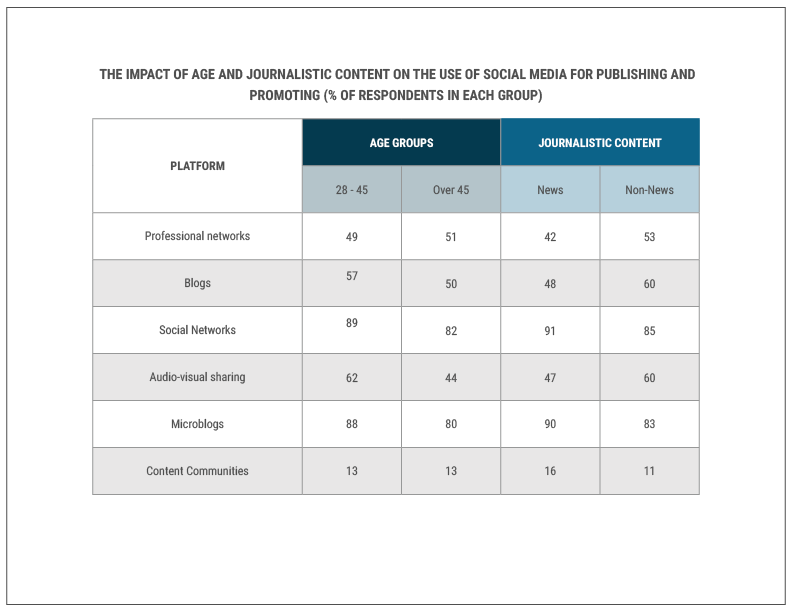 The following snapshot compares the preferred places for publishing and promoting content against age groups and whether the journalist’s content is news or non-news. Audio-visual sharing tools like YouTube see the biggest difference between age groups and journalistic content. Just like email pitches, press release distribution, and other PR tactics, social media must be a part of your media relations strategy. Using your media database, research where your target audience spends their time online, and then spend time there too. Uncover more social media trends by downloading our 2016 Global Social Journalism Study now. In it, we provide an in-depth look at journalists’ perspectives on social media across the United States, Canada, Finland, Germany, France, Sweden and the United Kingdom, and how their understanding and usage of it has evolved.